Although Paddle Surfing is generally believed to be a relatively modern sport, it is actually an ancient practice that originated in Polynesian tribes some centuries ago. Ancient Polynesians used boards and oars made of wood as a means of transportation between more than 7.000 islands scattered around the Pacific Ocean, as well as for fishing or even going to war. ZooPark Famara is an Official School of IOSUP (International Organization Stand Up Paddle) certified by the Spanish Surfing Federation (Federación Española de Surfing). In our lessons, we only use the most innovative and successful teaching methods acknowledged in the world of Stand Up Paddle. These methods are based on practical approach and allow us to evaluate the progress of the students all the while they interact with the marine environment. 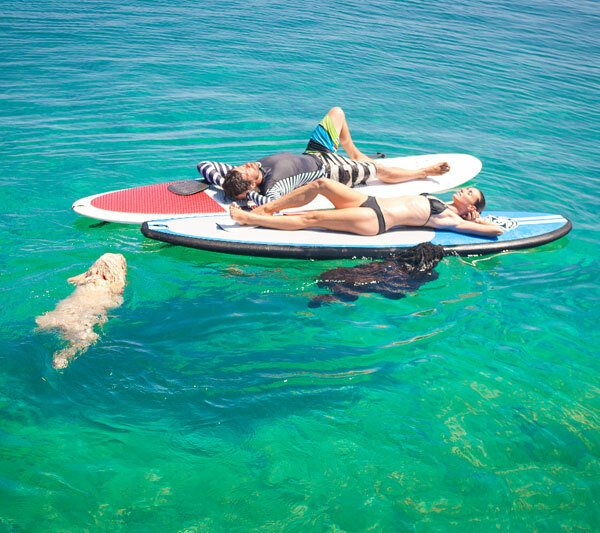 SUP is a sport for everyone, it is fun and easy to learn. A sport to enjoy with friends or family since it does not require any special physical abilities because you are simply standing on the board from the very start. If you want to get in touch with the aquatic environment in a fun and unconventional way, do SUPer!! 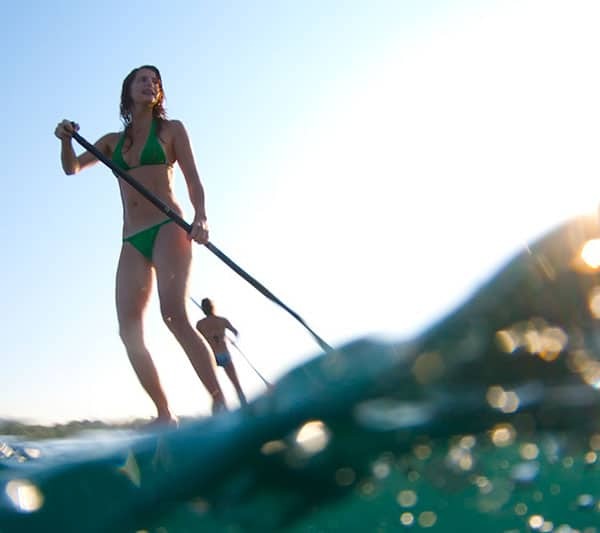 Stand Up Paddle lessons are conducted in various spots of the island depending on meteorological conditions: Famara Beach, Famara Pier, La Santa Lagoon, Reducto Beach (Arrecife), Charco de San Ginés (Arrecife), Costa Teguise. All year round we offer beginner or improvement courses, in which you can explore all the reefs and corners of Famara beach and Lanzarote island. Here you will learn everything related to Paddle Surfing all the while toning your body and sharing new experiences with other students and instructors. In the SUP courses we deal with 2 aspects: maneuverability and paddling technique across flat water and surfing on Waves for those with more experience. Our main priority is for our students to enjoy themselves and learn in a fast and fun way while they progressively become self-sufficient SUPpers to practice the sport with the outmost knowledge of techniques and, of course, in the highest safety conditions.